Faculty of Political Science and Law, Eötvös Loránd University (ELTE) (1978). Founder and spokesman, Democratic Union of Scientific Workers (1988). Administrator and Vice-chairman (1988-1993), Chairman (1994), LIGA trade unions. Head, Labour Affairs and Employment Workshop, FIDESZ party (since 1996). Member of Budapest Steering Committee of FIDESZ (1998-2004). Member of National Steering Committee of FIDESZ (2005-2009). Hungarian Parliament: Member of Parliament (1998-2004); Vice-Chairman, Employment and Social Committee (1998; 2002-2004); Chairman, Hungarian-Vietnamese-Cambodian-Laotian Section, IPU (Inter-Parliamentary Union) (2002-2004). Government of the Republic of Hungary: Political State Secretary, Ministry of Social and Family Affairs (1998-2000). Political State Secretary, Prime Minister's Office (2000-2002). 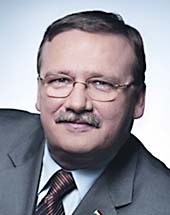 Representative of the Hungarian Government to the ILO (International Labour Organisation) (1998-2002); Chairman of the Subcommittee on Social Affairs, Slovak-Hungarian Joint Committee (1998-2002). International Labour Organisation: Member of Governing Body; Chairman, Committee on Sectoral and Technical Meetings and Related Issues (1998-2000); Chairman, Resolution Committee, International Labour Conference (2000). Member of Employment, Social and Health Committee, Hungarian Permanent Conference (1998-2002). European Parliament: observer (2003-2004); Member (since 2004); EPP-ED Vice-Coordinator, Committee on Employment and Social Affairs (2004-2009); EPP Coordinator, Committee on Employment and Social Affairs (since 2009); Spokesman, EPP-ED Workers Group (since 2004). (16) Third-country nationals who work in the territory of a Member State should enjoy equal treatment as regards social security. Branches of social security are defined in the Council Regulation (EEC) No 1408/71 of 14 June 1971 on the application of social security schemes to employed persons, to self-employed persons and to members of their families moving within the Community. Council Regulation (EC) No 859/2003 of 14 May 2003 extending the provisions of Regulation (EEC) No 1408/71 and Regulation (EEC) No 574/72 to nationals of third countries who are not already covered by those provisions solely on the ground of their nationality extends the provisions of Regulation (EEC) No 1408/71 to third country nationals who are legally residing in the European Union and who are in a cross-border situation883/2004 of the European Parliament and of the Council of 29 April 2004 on the coordination of social security systems. The provisions on equal treatment concerning social security in this Directive also apply to persons coming to a Member State directly from a third country. Nevertheless, this Directive should not confer more rights than those already provided in existing Community legislation in the field of social security for third- country nationals who have cross- border elements between Member States. 2. To implement the actions referred to in Article 4(1), except for the support measures referred to in point (d) of Article 4(1), the Commission shall conclude agreements with international financial institutions, in particular with the European Investment Bank (EIB) and the European Investment Fund (EIF), in accordance with Article 53d of Council Regulation (EC, Euratom) No 1605/2002 and Article 43 of Commission Regulation (EC, Euratom) No 2342/2002. These agreements shall contain detailed provisions for the implementation of the tasks entrusted to them, including the necessity to ensure additionality with national schemeand coordination with existing European and national financial instruments. 2. For the first time in 2011, but no later than 12 months after the entry into force of this Decision, and before 31 December of each year, the Commission shall present to the European Parliament and to the Council a quantitative and qualitative annual report on the activities under this Decision in the previous year. The annual report shall be based on the implementation reports referred to in paragraph 1 and focus mainly on the results achieved and shall in particular contain information relating to applications submitted, contracts concluded, actions funded including their complementarity with other Community interventions, notably the ESF. 19a. Proposes a new pilot project – ‘Measures for employment maintenance’ – to explore the possibilities for maintaining effectively the jobs that are at risk due to the financial and economic crisis in order to help alleviate the employment and social consequences of the crisis. (2) The Treaty on European Union stipulates in Article 3.3 that the Union shall combat social exclusion and discrimination, and shall promote social justice and protection and provides for the Union’s initiatives to ensure coordination of Member States' social policies. Article 9 of the Treaty on the Functioning of the European Union provides that in defining and implementing its policies and activities, the Union shall take into account requirements linked to the promotion of a high level of employment, the guarantee of adequate social protection and the fight against social exclusion. (7) The Commission proposed to set up a new strategy for the next decade, the Europe 2020 Strategy, to enable the EU to emerge stronger from the crisis, and to turn its economy towards smart, sustainable and inclusive growth. Five headline targets, listed under the relevant guidelines, constitute shared objectives guiding the action of the Member States and of the Union. Member States should make every effort to meet the national targets and to remove the bottlenecks that constrain employment-enhancing growth. (8) As part of comprehensive ‘exit strategies’ for the economic crisis, Member States should carry out ambitious reforms to ensure macroeconomic stability and the sustainability of public finance, improve competitiveness, reduce macroeconomic imbalances and enhance labour market performance. The withdrawal of the fiscal stimulus, when the recovery is secure, should be implemented and coordinated within the framework of the Stability and Growth Pact. (8a) Europe 2020 should be a strategy to come out of the economic crisis, to prevent a new economic and social collapse and to boost our economies in the medium term. (10) Member States should also, through their reform programmes, aim at ‘sustainable growth’. Sustainable growth means building a resource-efficient, sustainable and competitive economy, a fair distribution of the cost and benefits and exploiting Europe’s leadership in the race to develop new processes and technologies, including green technologies. Member States should implement the necessary reforms to reduce greenhouse gases emissions and use resources efficiently. They should also improve the business environment, stimulate creation of greesustainable, low-carbon jobs and modernise their industrial base. (11) Member States’ reform programmes should also aim at ‘inclusive growth’. Inclusive growth means building a cohesive society in which people are empowered to anticipate and manage change, thus to actively participate in society and economy. Member States’ reforms should therefore ensure access and opportunities for all throughout the lifecycle, thus reducing poverty and social exclusion, through removing barriers to labour market participation especially for women, older workers, young people, disabled and legal migrants. They should also make sure that the benefits of economic growth reach all citizens and all regions. Ensuring effective functioning of the labour markets through investing in successful transitions, appropriate skills development, rising job quality and fighting segmentgender equality, and fighting segmentation, discrimination, structural unemployment and inactivity while ensuring adequate, sustainable social protection and active inclusion to reduce poverty should therefore be at the heart of Member States’ reform programmes. (11a) In the context of the 'inclusive growth' objective, Member States should, at the initiative of the Commission, set an appropriate legislative framework for the new forms of work whilst paying attention both to assuring flexible ways of employment and adequate social security of workers. (13) The Europe 2020 strategy has to be underpinned by an integrated set of policies, which Member States should implement fully and at the same pace, in order to achieve the positive spill-over effects of coordinated structural reforms. Coherence between actions taken by Member States in the economic, employment and social areas should be ensured. (13a) Member States should take into account the Europe 2020 strategy, and, in particular, its employment and social aspects, when programming and implementing EU funding, including that from the European Social Fund, the European Regional Development Fund and the Cohesion Fund. Article 2a When designing and implementing their national reform programmes taking account of the guidelines in the Annex, Member States shall ensure effective governance of employment and social policies. Stakeholders, including those at regional and local level, parliamentary bodies and social partners shall be closely involved throughout the design and implementation of those programmes. The EU headline targets, as set out in the Annex, shall be followed up with appropriate sub-targets and indicators, including outcome and result indicators, as well as national targets, indicators and scoreboards. Member States shall take those targets and indicators into account, along with the guidelines and any country-specific recommendations addressed to them by the Council. Member States shall closely monitor the employment and social impact of reforms implemented under respective national reform programmes. When reporting on the application of the guidelines in the Annex, Member States shall follow the structure to be agreed at EU level and shall include the same elements in order to ensure clarity, transparency and comparability among the Member States. To reach this goal, the Member States should inpromote grate the flexicurity principles endorsed by the European Council into their labour market policies and apply them, making full use of European Social Fund support with a view to increasing labour market participation and combating segmentowth, thereby creating new jobs, increase the innovative potential of the economy, in particular of small and medium-sized enterprises (SMEs), and free industry from administrationve and inactivity, gender inequality, whilst reducing structural unemployment. Measures to enhance flexibility and security should be both balanced and mutually reinforcing. Member Statnon-tariff barriers. In order to improve women’s and young people’s access to the labour market, conditions should be created for adequate child care facilities, should therefore introduce a combination of flexiblo that every child of pre-school age cand reliable employment contracts, active labour market policies, effective lifelong learning, policies to promote labour mobility, and adequate social security systems to secure professional transitions accompanied by clear rights and responsibilities for the unemployed to actively seek work be provided with child care outside the family, and every young person is provided with a job or a place in training or further education within six months after finishing school, in close cooperation with the social partners. The Member States should step up social dialogue and tackle labour market segmentation with measures addressing temporary and precarious employment, underemployment and undeclared work. Professional mobility should be rewarded. The quality of jobs and employment conditions should be addressed by fighting low-wages and by ensuring adequate social security also for those on fixed contracts and the self-employed. Employment services should be strengthened and open to all, including young people and those threatened by unemployment with personalised services targeting those furthest away from the labour marketincrease the employment rate through activation measures, in particular for less qualified people, through advisory services, through education and professional training adapted to the labour market's needs and through subsidised jobs for disabled people and people requiring particular protection. Furthermore, the Member States should increase the employability of legal migrants with appropriate programmes. Innovative programmes are also required to reintegrate disabled people into the labour market. Furthermore, the Member States should remove the barriers which make it more difficult for people to enter the labour market for the first time, support the creation of jobs, foster social innovation and increase the quality of job placement services. In particular, working time rules should be more flexible, so as to allow a work process which conforms to the requirements of the compatibility of family and work, and allows a more flexible exit from working life into retirement. Flexicurity strategies to increase flexibility, to be able to react more efficiently to production cycles, should be better protected through an active labour market policy and adequate social security systems, so that changing jobs does not lead to disproportionate financial costs. This should be accompanied by a clear commitment to actively support job seeking. New forms of work organisation, such as untypical temporary work, part-time work and teleworking are used more and more frequently in the working world without being legally controlled. They must not lead to a reduction in social protection for the people concerned . In order to increase competitiveness and raise participation levels, particularly for the low-skilled, and in line with economic policy guideline 2, Member States should review tax and benefit systems and the capacity of public services to provide the necessary support. Member States should increase labour force participation through policies to promote active ageing, gender equality and equal pay and labour market integration of young people, disabled, legal migrants and other vulnerable groups. Work-life balance policies with the provision of affordable care and innovation in work organisation should be geared to raising employment rates, particularly among youth, older workers and women, in particular to retain highly-skilled women in scientific and technical fields. Member States should also remove barriers to labour market entry for newcomers, support self- employment and job creation in areas including green employment and care and promote social innovationthis context, the resources of the European Social Fund should be fully used to increase employability, with measures to develop personal skills and to fulfil quality requirements in seminal jobs. In order to promote professional mobility, it is necessary for Member States to increase people’s openness to mobility by providing incentives. Member States should promote productivity and employability through an adequate supply of knowledge and skills to match current and future demand in the labour market. Quality initial education and attractive vocational trainingThe provision of high-quality initial school education and attractive vocational training conforming to industry’s requirements have high priority for Member States and are the basis for the Europa 2020 integrated guidelines. They must be complemented with second-chance opportunities and effective incentives for lifelong learning, second- chance opportunities, ensuring every adult the chance to move one step up in their qualification, and by targeted migration and integration policies. Member States should develop systems for recognising acquired competencies, remove barriers to occupational and geographical mobility of workers, promote the acquisition of transversal competences and creativity, and focus their efforts particularly on supporting those with low skills and increasing the employability of older workers, while at the same time enhance the training, skills and experience of highly skilled workers, including researcherwhereby the social partners are called upon to provide the time and to also financially support vocational training. In particular, the Member States should reduce the drop- out rate to less than 10% and complete migration and integration policy with facilities for language learning and social studies. Regular monitoring of the performance of up-skilling and anticipation policies should help identify areas for improvement and increase the responsiveness of education and training systems to labour market needs. Member States’To achieve this target, Member States should make an efforts to reduce poverty should be aimed at, including in-work poverty, promotinge full participation in society and the economy and extending employment opportunities, making full use ofin regard to which the European Social Fund. Efforts should also concentrate on ensuring is to be used. It has to be ensured that equal opportunities, including throughas well as access to affordable, sustainable and high quality services and public services (including online services, in line with guideline 4) and in particular health care. Member States should put in place effective anti-discrimination measures. Equally,, are preserved. In order to fight social exclusion, empower people to play an active role in society and promote labour market participation, social protection systems, lifelong learning and active inclusion policies should bemust be further enhanced to create opportunities and job perspectives at different stages of people’s lives and, shield them from the risk of exclusion. S and provide support, in particular for those furthest from the labour market, into quality work. At the same time, social security and pension systems must be modernised to ensureso that they can be fully deployed to ensure adequate income support and access to healthcare — thus providing social cohesion — whilst at the same time remaining financially sustainable, to enable participation in social life and access to healthcare, whilst the financial sustainability of these systems must be preserved. Benefit systems should focus on ensuringe income security during transitions and reducinge poverty, in particular among groups most at risk from social exclusion, such as one- parent families, minorities, people with disabilities, children and young people, elderly women and men, legal migrants and the homeless. In particular, Member States shall be committed to tackle child poverty through appropriate measures so that children are not restricted in their personal development and are not underprivileged when entering professional life due to poverty related interferences of their free development. Member States should also actively promote the social economy and social innovation in support of the most vulnerable, and effectively implement the adopted anti-discrimination measures. (8a) Europe 2020 should be a strategy to come out of the economic crisis, to prevent a further economic and social collapse and to boost our economies in the medium and long term. (11a) In the context of the 'inclusive growth' objective, Member States should, at the initiative of the Commission, set an appropriate legislative framework for the new forms of work. Such a framework should pay attention both to ensuring flexible forms of employment, while avoiding labour market segmentation and guaranteeing comprehensive protection of individual and collective labour rights, as well as adequate social security for workers. Article 2a When designing and implementing their national reform programmes taking account of the guidelines in the Annex, Member States shall ensure effective governance of employment and social policies. Stakeholders, including those at regional and local level, parliamentary bodies and social partners shall be closely involved throughout the design and implementation, monitoring and evaluation of those programmes, including in the definition of targets and indicators. The EU headline targets, as set out in the Annex, shall be followed up with appropriate sub-targets and indicators, including outcome and result indicators, as well as national targets, indicators and scoreboards. Member States shall take those targets and indicators into account, along with the guidelines and any country-specific recommendations addressed to them by the Council. Member States shall closely monitor the employment and social impact of reforms implemented under respective national reform programmes. When reporting on the application of the guidelines in the Annex, Member States shall follow the structure to be agreed at EU level and shall include the same elements in order to ensure clarity, transparency and comparability among the Member States. The Member States will set their national targets for increasing the employment rate for women and men to 75% by 2020, in particular through greater labour market participation of young people, older workers, the low-skilled and people with disabilities and the better integration of legal migrants. Furthermore, Member States will set their national targets so that the share of 15 to 24 year-old women and men in education, training or employment increases to at least 90%. Member States should step up social dialogue and tackle labour market segmentation with measures addressing temporary and precarious employment, underemployment and undeclared work. Professional mobility should be rewarded. The quality of jobs and employment conditions should be addressed by fighting low-wages and by ensuring adequate social security also for those on fixed contracts and the self-employed. Employment services should be strengthened and open to all, including young people and those threatened by unemployment with personalised services targeting those furthest away from the labour marketThe Member States in cooperation with the social partners should increase the employment rate through activation measures, in particular for low skilled and people requiring particular protection and/or support, through advisory services and education and professional training adapted to the labour market's needs. The social economy should be supported in this context. Furthermore, the Member States should increase the employability of legal migrants with appropriate programmes. Continued efforts and innovative programmes are also required to reintegrate people with disabilities into the labour market, including through subsidised jobs. Furthermore, the Member States should remove the barriers which make it more difficult for people to enter the labour market for the first time, support the creation of jobs, foster social innovation and increase the quality and effectiveness of job placement services, including public employment services. In particular, working time rules should be more flexible, so as to allow a work process which conforms to the requirements of the compatibility of family and work, and allows a more flexible exit from working life into retirement. External and internal flexicurity strategies to increase flexibility, to be able to react more efficiently to production cycles, should be better applied through active labour market policies and adequate social security systems, so that changing jobs does not lead to disproportionate financial costs. These should be accompanied by a clear commitment to actively support job- seeking. New forms of work organisation, such as atypical temporary work, part- time work and teleworking are used more and more frequently in the working world without being legally controlled. They must not lead to a reduction in individual and collective labour rights and social protection for the people concerned. In order to increase competitiveness and raise participation levels, particularly for the low-skilled, and in line with economic policy guideline 2, Member States should review tax and benefit systems and the capacity of public services to provide the necessary support. Member States should increase labour force participation through policies to promote active ageing, gender equality and equal pay and labour market integration of young people, disabled, legal migrants and other vulnerable groups. Work-life balance policies with the provision of affordable care and innovation in work organisation should be geared to raising employment rates, particularly among youth, older workers and women, in particular to retain highly-skilled women in scientific and technical fields. Member States should also remove barriers to labour market entry for newcomers, support self- employment and job creation in areas including green employment and care and promote social innovationthis context, the resources of the European Social Fund should be fully used to increase employability and job quality with measures to develop personal skills and to fulfil quality requirements in seminal jobs. In order to promote professional mobility, it is necessary for Member States to increase people’s openness to mobility by providing incentives therefor. The Member States will set their national targets at reducing the school drop-out rate below 10% by 2020, whilst increasing the share of the population aged 30-34 having completed tertiary or equivalent education to at least 40%. Member States should promote proThe provision of high-quality initial educativityon and employability through an adequate supply of knowledge and skills to match currattractive vocational training conforming to industry’s requirements and future demand in the labour market. Quality initial education and attractive vocational training are high priorities for Member States. They must be complemented with second-chance opportunities and effective incentives for lifelong learning, second-chance opportunities, ensuring every adult the chance to move one step up in their qualification, and by targeted migration and integration policies. Member States should develop systems for recognising acquired competencies, remove barriers to occupational and geographical mobility of workers, promote the acquisition of transversal competences and creativity, and focus their efforts particularly on supporting those with low skills and increasing the employability of older workers, while at the same time enhance the training, skills and experience of highly skilled workers, including researcherwhereby the social partners are called upon to provide the time and to also financially support vocational training. In particular, the Member States should reduce the dropout rate to less than 10% and complete migration and integration policy with facilities for language learning and social studies. Member States should also develop systems for recognising acquired skills and competences. In cooperation with social partners and business, Member States should improve access to training, strengthen education and career guidance combined with systematic information on new job openings and opportunities, promotion of entrepreneurship and enhanced anticipation of skill needs. Investment in human resource development, up-skilling and participation in lifelong learning schemes should be promoted through joint financial contributions from governments, individuals and employers. To support young people and in particular those not in employment, education or training, Member States in cooperation with the social partners, should enact schemes to help recent graduates find initial employment or further education and training opportunities, including apprenticeships, and intervene rapidly when young people become unemployed. Regular monitoring of the performance of up-skilling and anticipation policies should help identify areas for improvement and increase the responsiveness of education and training systems to labour market needs. EU funds should be fully mobilised by Member States to support these objectivthe social partners and businesses, Member States should improve access to training, strengthen education and career guidance combined with systematic information on new job openings and opportunities, promote entrepreneurship and enhance anticipation of quality requirements. The development of human resources, higher qualifications and training should be financed through joint financial contributions from individuals, employers and governments. Access to high-quality general and vocational training and the reintegration of school drop-outs in the education system should be possible for everyone at any time. The Member States should align investments in the education system so that the objective of increasing the level of skills among the active population is reached, taking into account also learning in informal and non-formal contexts. In doing so, the reforms regarding employability in particular should be aimed at ensuring, through training or knowledge in the field of information and communication technologies (ICT), the acquisition of the core skills which every employee needs to be successful in a knowledge-based economy. Measures should be taken to ensure that the educational mobility of young people and teachers becomes the norm. Member States should improve the openness and relevance of general and vocational education systems, in particular by implementing national qualification frameworks enabling flexible learning pathways and by developing partnerships between general and vocational education institutions and the world of work, in order to considerably increase the proportion of high-level academic and vocational degrees. The Member States will set their national targets to reduce by 25 % the number of Europeans living below national poverty lines, lifting over 20 million people out of poverty, in particular by employment and education policy measures. Member States" efforts to reduce poverty should be aimed at promoting full participation in society and economy and extending employment opportunities, making full use of the European Social Fund. Efforts should also concentrate on ensuring equal opportunities, including through access to affordable, sustainable and high quality services and public services (including online services, in line with guideline 4) and in particular health care. Member States should put in place effective anti-discrimination measures. Equally, to fight social exclusion, empower people and promote labour market participation, social protection systems, lifelong learning and active inclusion policies should be enhanced to create opportunities at different stages of people's lives and shield them from the risk of exclusion. Social security and pension systems must be modernised to ensure that they can be fully deployed to ensure adequate income support and access to healthcare thus providing social cohesion whilst at the same time remaining financially sustainable. Benefit systems should focus on ensuring income security during transitions and reducing poverty, in particular among groups most at risk from social exclusion, such as one- parent families, minorities, people with disabilities, children and young people, elderly women and men, legal migrants and the homeless. Member States should also actively promote the social economy and social innovation in support of the most vulnerableTo achieve this target, Member States should make an effort to reduce poverty, including in-work poverty, promote full participation in society and the economy and extend employment opportunities, in regard to which the European Social Fund is to be used. It has to be ensured that equal opportunities, as well as access to affordable, sustainable and high quality services and public services (including online services, in line with guideline 4) and in particular health care, are preserved. In order to fight social exclusion, empower people to play an active role in society and promote labour market participation, social protection systems and active inclusion policies must be further enhanced to create opportunities and job perspectives at different stages of people’s lives, shield them from the risk of exclusion and provide support, in particular for those furthest from the labour market, into quality work. Therefore efficient approaches under active labour market policy for training and job creation have to be created for those who are excluded from the labour market owing to lack of training. At the same time, social security and pension systems must be modernised so that they can be fully deployed to ensure adequate income support, to enable participation in social life and access to healthcare, whilst the financial sustainability of these systems must be preserved. Benefit systems should ensure income security during transitions and reduce poverty, in particular among groups most at risk from social exclusion, such as one-parent families, minorities, people with disabilities, children and young people, elderly women and men, legal migrants and the homeless. In particular, Member States shall be committed to tackle child poverty through appropriate measures so that children are not restricted in their personal development and are not underprivileged when entering professional life due to poverty related interferences of their free development. Member States should also actively promote the social economy and social innovation in support of the most vulnerable, and effectively implement the adopted anti-discrimination measures. 3. By derogation from paragraph 2, the Commission may, on grounds of exceptional economic circumstances, major environmental disasters or following a reasoned request by the Member State concerned addressed to the Commission within ten days of adoption of the Council conclusions referred to in paragraph 1, propose to reduce the amount of the fine or to cancel it. (10) A temporary departure from prudent fiscal policy-making should be allowed in case of severe economic downturn of a general naturerecession in order to facilitate economic recovery. Special attention shall be paid to pension reforms introducstrengthening a multi-pillar system that includes a mandatory, fully funded pillar. Member States implementing such reforms shall be allowed to deviate from the adjustment path to their medium-term budgetary objective or from the objective itself, with the deviation reflecting the net cost of the reform to the publicly managed pillar, under the condition that the deviation remains temporary and that an appropriate safety margin with respect to the deficit reference value is preserved. In periods of severe economic downturn of a general naturerecession Member States may be allowed to temporarily depart from the adjustment path implied by prudent fiscal- policy making referred to in the fourth subparagraph. in order to facilitate economic recovery. The deviation may be equally not considered in case of severe economic downturn of a general naturerecession. In periods of severe economic downturn of a general naturerecession Member States may be allowed to temporarily depart from the adjustment path implied by prudent fiscal- policy making referred to in the fourth subparagraph. 12. If macroeconomic imbalances are identified, recommendations should be addressed to the Member State concerned to provide guidance on appropriate policy responses. The policy response of the Member State concerned to imbalances should be timely and should use all available policy instruments under the control of public authorities. It should be tailored to the specific environment and circumstances of the Member State concerned and cover the main economic policy areas, potentially including fiscal and wage policies, labour markets, product and services markets and financial sector regulation. 2. This Directive applies to the protection of the environment as athe pathway from radiation sources to the possible exposure of man, complemented where appropriate with specific consideration of the exposure of biota in the environment as a whole. (c) the limit on the equivalent dose for the hands, forearms, feet and ankles shall be 150 mSv in a year. 2. Monitoring for category B workers shall be at least sufficient to demonstrate that such workers are correctly classified in category B. Member States mayhave to require individual monitoring and if necessary individual measurements, performed by a dosimetry service, for category B workers. 1. Member States shall require workers to have access at their requestany time to the results of their individual monitoring, including the results of measurements which may have been used in estimating these results, or to the results of the assessment of their doses made as a result of workplace measurements. No worker may be employed or classified for any period in a specific post as a category A worker if medical surveillance establishes that the worker is unfit for that specific post or fit for limited duties. 2 a. The employee shall have access to his or her personal health file at any time. Member States shall lay down the procedure for appeal against the findings and decisions made pursuant to Articles 45, 46 and 48. Consultation and participation of workers and/or their representatives shall be regulated by Article 11 of Council Directive 89/391/EEC. 1. Member States shall ensure that the system for individual radiological monitoring affords outside workers equivalent protection and medical care to that for workers employed on a permanent basis by the undertaking. Medical exposure shall show a sufficient net benefit, weighing the total potential diagnostic or therapeutic benefits it produces, including the direct benefits to health or well-being of an individual and the benefits to society, against the individual detriment that the exposure might cause, taking into account the efficacy, benefits and risks of available alternative techniques having the same objective but involving no or less exposure to ionising radiation. 1 a. Staff shall be trained regularly and compliance with the applicable rules shall be monitored. (fa) establishing documented procedures used for information and training of exposed workers. (la) establishing documented procedures used for information and training of exposed workers. The data system for individual radiological monitoring established by a Member State may be realised either as a centralised national network or as a national dose register. These networks or registers mayshall be supplemented by the issuance of individual radiological monitoring documents for every outside worker. (7) Directive 2005/36/EC should also cover notaries. For recognition requests for establishment, Member States should be able to impose the necessary aptitude test or adaptation period to avoid any discrimination in the national selection and nomination procedures. In the case of free provision of services, notaries should not be able to draw up authentic instruments and, undertake judicial activities or carry out other activities of authentication which require the seal of the host Member State. (7 a) It seems necessary for notaries appointed by the Member States to areas under national jurisdiction, who are committed by law to proceed in an independent and unbiased manner and who ensure the legality of legislative acts and legal certainty in the context of preventive justice, to be excluded from the scope of the Directive. In view of the special tasks undertaken by notaries in the justice system, neither the fundamental principle of the free movement of services nor recognition of professional qualifications gained abroad may apply to their profession. This Directive shall not apply to notaries appointed by the Member States. For the purposes of qualified majority voting in the Council, Member States shall provide the Commission (Eurostat) with data on the total population at national level at the reference time, as referred to in Article 2, within 8 months from the end ofof their citizens at the reference yeartime. For the purposes of this Article, Member States shall not provide data on population at their place of legal or registeredtheir permanent residence at the reference time. (16) In order to ensure the correct application of, and to monitor compliance with, the substantive rules on the terms and conditions of employment to be respected with regard to posted workers, Member States should apply only certain control measures or administrative formalities to undertakings posting workers for the provision of services. SuchAny control measures and requirements should be uniform at the Union level and may only be imposed provided that the competent authorities cannot carry out their supervisory task effectively without the requested information and the necessary information cannot be obtained easily from the employer of posted workers or the authorities in the Member State of establishment of the service provider within a reasonable delay and/or less restrictive measures would not ensure that the objectives of the national controls measures deemed necessary are attained. For the purposes of this Directive, Member States shall, in accordance with national legislation and/or practice, designate one or more competent authorities, which may include the liaison office(s) referred to in Article 4 of Directive 96/71/EC. The principal task of the liaison office shall be to provide information about terms and conditions of employment and employment rules. The monitoring of the application of the aforementioned rules may be performed by liaison offices or by other monitoring authorities. 1. Member States shall supply the information requested by other Member States or the Commission by electronic means as soon as possible and at the latest within 2 weeks from the reception of a request or within one month if the answer requires an on-the-spot inspection. In order to avoid creating an inspection timetable on account of any requests made around weekends and public holidays, the time limits shall be set in working days. A specific urgency mechanism shall be used for special situations where a Member State becomes aware of particular circumstances requiring urgent action. In such circumstances, the information shall be submitted within 24 hour5 working days. (d) an obligation tothe possibility to request the designateion of a contact person to negotiate, if necessary, on behalf of the employer with the relevant social partners in the host Member State to which the posting takes place, in accordance with national legislation and practice, during the period in which the services are provided. 17. Call for the need to improve and better coordinate social governance at the European level in parallel of the establishment of European economic governance. 8a. Reiterates its call to accelerate the outstanding commitments (65% of the total volume of the Cohesion Funds) in order not to be obliged for years to pay obligations from the budget allocated to programming period 2007-2013. 3. Notes with regret the comment of the Court of Auditors that the cancellation rate for appropriations raised from 4% to 8% (1,3 million) in 2011 compared with the previous year and that the Agency's budget for 2011 was by 0,9 million EUR higher (amounted to 16,4 million) than in 2010 (15,5 million). (6) It is essential that the statistical production necessary for the performance of the activitieseconomic and social management of the Union should only be based on reliable data. In the production of MIP relevant data, which is an essential input for the detection of macroeconomic imbalances as well as the prevention and correction of excessive macroeconomic imbalances within the Union, unreliable data can have a significant impact on the interest of the Union. Additional measures to make the enforcement of the production, provision and quality monitoring of MIP relevant data more effective are necessary for the performance of the macroeconomic imbalances procedure. Those measures should enhance the credibility of the underlying statistical information as well as of the provision and quality monitoring of the MIP relevant data. In order to deter against misrepresentation, whether intentional or due to serious negligence, of MIP relevant data, a mechanism of financial sanctions should be established, which will also serve the purpose of ensuring due diligence in the production of MIP relevant data. (8) Close cooperation and on-going dialogue to coordinate and harmonise data to be transmitted should be established between the Commission and Member States' statistical authorities in order to ensure the quality of the MIP relevant data reported by Member States and the underlying statistical information. 1. When transmitcommunicating the MIP relevant data referred to in Article 1, Member States shall send, to the Commission (Eurostat), information showing how these data are calculated, including any changes in the sources and methods, in the form of a quality report. 1. The Council, acting on a proposal by the Commission, may decide to impose a fine on a Member State that intentionally or by serious negligence misrepresents or delays the delivery of the MIP relevant data. TIn compliance with the rules, the Commission may conducarry out all investigations necessary to establish the existence of the misrepresentations referred to in paragraph 1. It may decide to initiate an investigation when it finds that there are serious indications of the existence of facts liable to constitute such a misrepresentation. In investigating the putative misrepresentations, the Commission shall take into account any comments submitted by the Member State concerned. In order to carry out its tasks, the Commission may request the Member State to provide information, and may conduct on-site inspections and access the underlying statistical information and documents related to the MIP relevant data. If the law of the Member State concerned requires prior judicial authorisation for on- site inspections, the Commission shall make the necessary applications. 6. Notes the observations of the Court of Auditors concerning the benefits of the use of simplified cost options, which reduces the risk of error and administrative burden on beneficiaries; welcomestakes note that 26% of the sampled ESF transactions already made use of these options in 20122 ; supports the more extensive use of the simplified cost options in the future multiannual financial period; __________________ 2 Simplification and Gold-plating in the European Social Fund, Ref. Ares(2013)3470438978 - 13/11/2013, Employment, Social Affairs and Inclusion DG, European Commission, p.4. 6a. Is aware of the fact that simplified cost options can reduce the frequency of errors but suggests that in this case misapplication of rules remains undetected. PhD, Faculty of Political Science and Law, Eötvös Loránd University (ELTE) (1978).